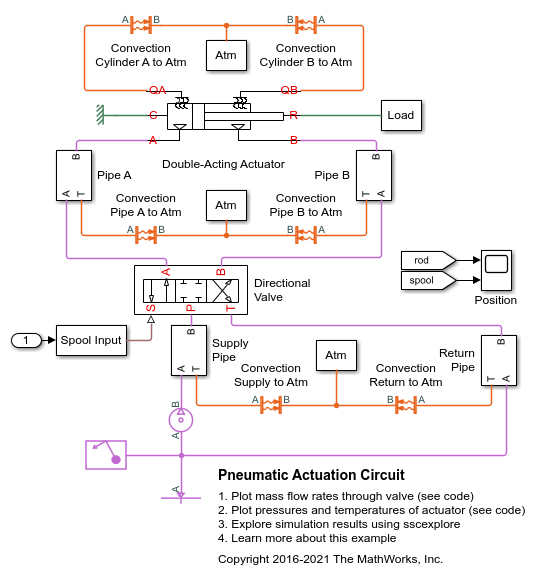 This example shows how the Foundation Library gas components can be used to model a controlled pneumatic actuator. 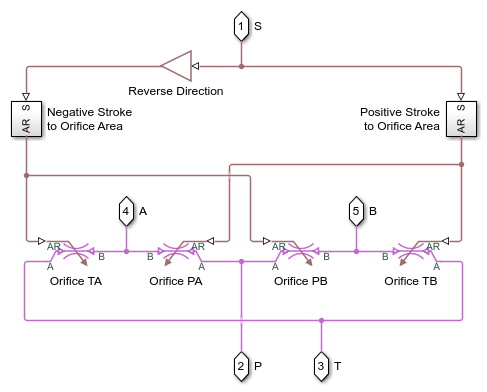 The Directional Valve is a masked subsystem created from Variable Local Restriction (G) blocks to model the opening and closing of the flow paths. 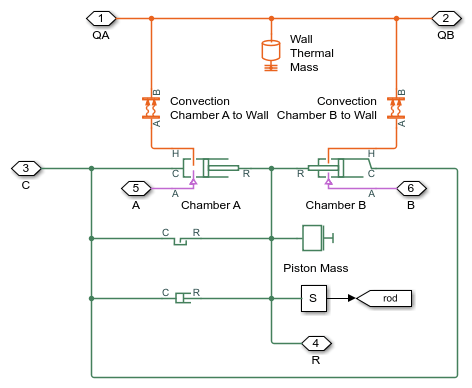 The Double-Acting Actuator is a masked subsystem created from Translational Mechanical Converter (G) blocks to model the interface between the gas network and the mechanical translational network. 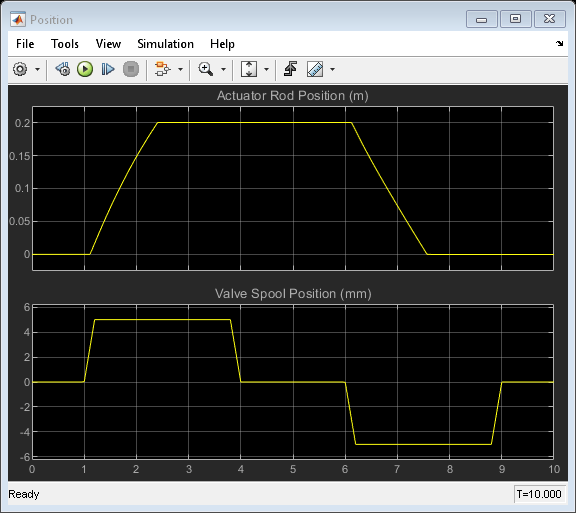 During the simulation, the valve spool moves to its maximum positive displacement, causing the actuator to extend to its maximum stroke. The valve spool is then centered and the load is held. 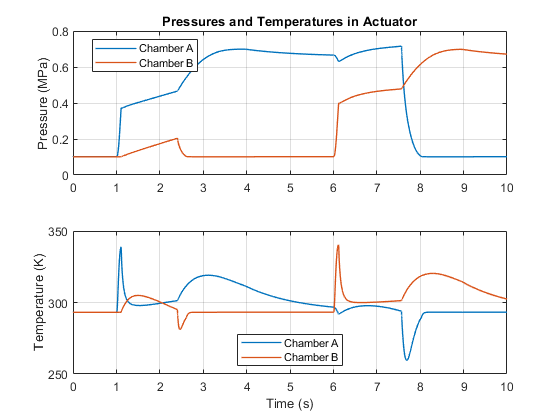 Next, the valve spool moves to its maximum negative displacement, causing the actuator to retract to its minimum stroke. 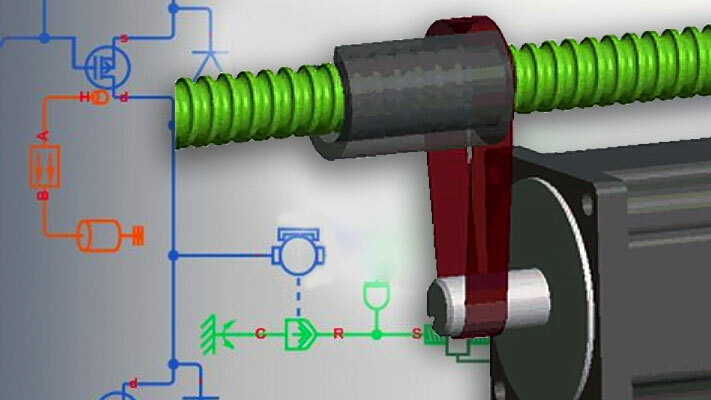 The valve spool is then centered and the load is held. 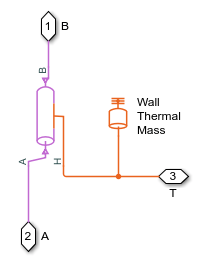 Thermal convection between the pipes and the environment allows the circuit to dissipate heat from the work done by the pressure source. 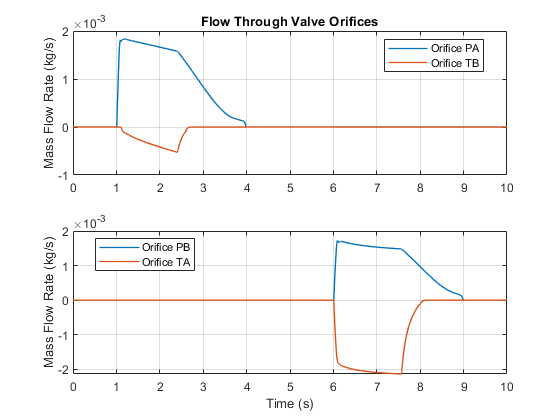 When the valve spool position is positive, Orifice PA and Orifice TB open, allowing gas to flow from port P to port A and from port B to port T. When the valve spool position is negative, Orifice PB and Orifice TA open, allowing as to flow from port P to port B and from port A to port T.